By Regina Villiers. Originally published September 11, 1996 in The Suburban Life, added September 17, 2018. Bill Hoffeld when he coached at Madeira High School. He will be inducted into the Madeira High School Athletic Hall of Fame on September 13. Back in the 1960’s, a group of WSAI Radio DJs billed themselves as the “Good Guys.” They garnered lots of space in the press, because they were colorful, fun guys. One of them, my friend, Dusty Rhodes, still gets the lion’s share of stories. He’s still a DJ, and along the way, he also became a successful business executive and the Hamilton County auditor. And he’s still colorful. You can just choose your field and your slant when you write about him. He’s the easy story. Another category of “good guys” seldom gets in the news. They just go quietly through life. If they do anything outstanding, they somehow manage to hide it behind a curtain of modesty. They’re the hard stories to write. But Bill will be inducted into the Madeira High School Athletic Hall of Fame Sept. 13, giving me an excuse to finally write a column about him. At Madeira, Mr. Hoffeld did it all. 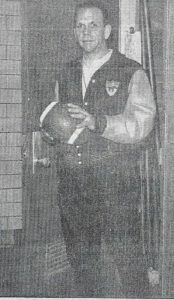 He was the head football coach from 1957-1960 and from 1966-1980. He was also the first wrestling coach at the high school. He was the track coach, assistant basketball coach, and served as athletic director for a period of time. During that time, he also taught. After he left Madeira, Bill continued to coach. He was the assistant football coach at Deer Park for six years. He went to Summit Country Day as head coach for three years, and then back to Deer Park, where he’s still an assistant coach. He remembers on game as the highlight of his career, when he took his team to Dayton Jefferson, which had a 48-game winning streak going. Mr. Hoffeld’s team won and broke the streak. Bill graduated from Wilmington College, where he played football and baseball. He also was a star in American Legion baseball, though I had to talk to someone else to find that out. Bill Williamson came up with that bit of information. 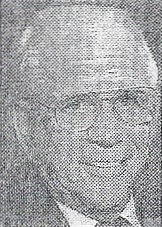 Williamson was an assistant coach under Mr. Hoffeld at Madeira, and he later became the principal at Madeira High for many years. Mr. Hoffeld is no stranger to halls of fame. His induction into Madeira’s will be his third. He has already been inducted into the Ohio High School Football Association Hall of Fame and the Wilmington College Hall of Fame. Bill Hoffeld is a family man, and that’s the only area where he’ll talk freely. He and his wife, Shirley, are proud of their children and their grandchildren. Bill coached both his sons-Bill Jr. and Greg-at Madeira. Both played three sports at Madeira. Daughter Lori played five sports at Madeira-basketball, volleyball, soccer, track, and tennis. A Hoffeld grandson, Ben, 11, also is an athlete. He played football, basketball and baseball. Although Bill Hoffeld may be the most polite man you’ll ever interview, he’ll give you that “aw, shucks” attitude when asked about himself. You’ll just have to find your own story. It’s a good thing he went into coaching. He’d never make it, for instance, in politics. He’d never talk about what he’d done, or what he planned to do, and he’d never, ever put down his opponent. And I didn’t ask him, but I’d almost bet that he doesn’t do the macarena. Bill Hoffeld as he looks today. He is an assistant football coach at Deer Park.